Located in spectacular Frankfort, Michigan. The Marina at Harbor Lights is a luxury condominium community and yacht marina designed to cater to those ready for a marina lifestyle. 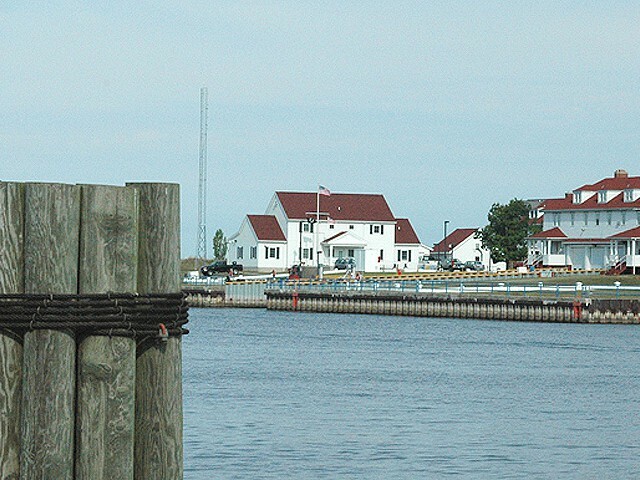 Whether you are looking for a luxury home base on the shores of Lake Michigan, or a tranquil, no-maintenance year round getaway – The Marina at Harbor Lights is for you. 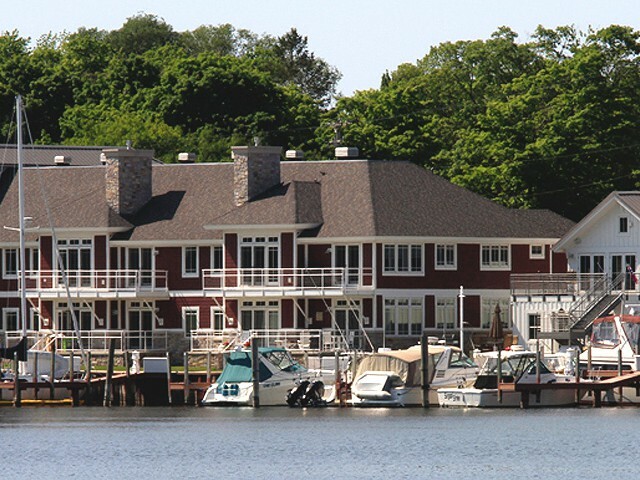 Adjacent to Harbor Lights Resort, the Marina has the luxury you’ve been looking for. 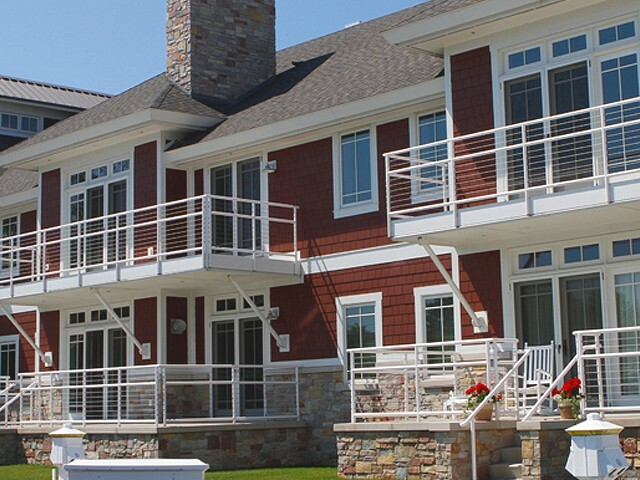 The Marina at Harbor Lights is unique in its beauty, amenities and setting. Relish spectacular sunrise views overlooking a 58-slip dockside marina. Enjoy manicured landscaped green space and common areas with a Boathouse that includes bath stalls and laundry area and a boater’s lounge area for community gathering that has a kitchenette and two patios equipped with Webber grills. But the advantages go well beyond Lake Michigan accessibility and superior amenities. Every aspect of this community has been created to meet the individual needs and wants of owners and visitors alike. Our deep water harbor with 30 to 45 ft. slips has been designed to accommodate a variety of boats. Our next phase of development will include larger slips (up to 80 ft.) to accommodate even larger vessels. We look forward to welcoming you to our magnificent harbor. Harbor Master Ronn Beyette was born and raised in Frankfort and can’t wait to tell you about his hometown. Ronn has always loved the lakes – the big one, of course, as well as the many inland lakes dotting beautiful Benzie County. As a boy, his favorite activity was grabbing a fishing pole with a bobber and casting off the shoreline. Ronn’s dad had a career with the Ann Arbor Railroad, but also had a row boat license and an 18’ boat he used for commercial fishing. Ronn fondly remembers helping his dad set the nets when he was just 10. That was the start of a career on the water that has spanned more than 40 years. Ronn also followed in his father’s career footsteps and worked briefly for the Ann Arbor Railroad, but the allure of Lake Michigan soon called him home. Ronn studied for and earned his charter boat captain’s license and for nearly a decade, he captained charters out of Frankfort. In 1981 he became the captain of Mitch-Mate II, an iconic yacht in the Frankfort harbor, owned by businessman William Mitchell, of Beulah. Soon after that, Mr. Mitchell purchased the marina, which had been owned by Herbert Dow, and Ronn became the Mitchell Marina manager, leading an impressive beautification and expansion of the marina property. In the summer of 2007, Paul and Rosie Dixon bought Mitchell Marina and, after changing the name, broke ground on the magnificent Gold Coast Marina condominium project. Ronn continued as the harbor master and property manager, overseeing the expansion and restoration of the marina. 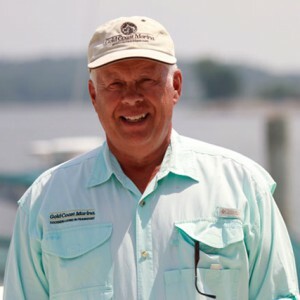 In the spring of 2012, the marina became part of the Harbor Lights family, and was re-named The Marina At Harbor Lights with Ronn continuing to lead the marina operations as harbor master. For marina information or to make a reservation, please call Ronn at 231-352-4400 (office) or 231-651-0878 (cell). He looks forward to telling you about the wonderful amenities at The Marina at Harbor Lights. The Marina at Harbor Lights is the most desirable marina location in Frankfort. 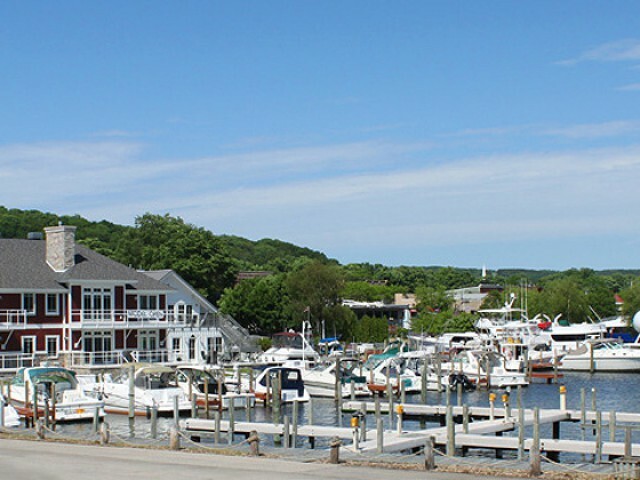 Our deepwater marina offers the closest access to Lake Michigan and the most upscale amenities on the harbor. We currently offer 30ft to 45ft slips for rent-daily, weekly, monthly or seasonally. Our season is from May 1st to October 1st. Rates vary by slip size and boat length, so refer to the chart below. For more information and reservations, please contact our Harbor Master Ronn at 231-352-4400. Reservations for Phase 2 dockominiums at The Marina at Harbor Lights are being taken. Slip sizes will range from 30 to 80 feet. For more details, contact Ronn Beyette at 231-352-4400 or via e-mail at marina@harborlightsresort.net. Become part of The Marina at Harbor Lights family through ownership of one of our magnificent luxury condominiums. 231.352.7112 (office) or 231.651.9497 (cell). We are located 40 miles southwest of Traverse City, just off of M-22 or M-115 in Frankfort, MI. Our location features spectacular sunsets and over 400 feet of private beach on Lake Michigan.